CNX Resources Corp. has spent the past week trying to get a Utica Shale well near the Beaver Run Reservoir in Westmoreland County under control after a problem there was followed by gas pressures spiking at nearby shallow wells. The Cecil-based oil and gas firm was fracking its Shaw 1G well in Washington Township on Jan. 26 when it detected a strong drop in pressure, the company told environmental regulators. It stopped fracking and found some type of obstruction in the well bore, said state Department of Environmental Protection spokeswoman Lauren Fraley. CNX also told the PA-DEP that four conventional — that is, shallower, vertical wells — nearby showed spikes in pressure, a sign of communication between the gas in the Utica well and the four other wells in the vicinity. Neighbors described a parade of trucks and hard-hatted workers dispatched to the Shaw pad and to properties with shallow wells, some of which are being flared to relieve the pressure. Residents were on guard about the activity — and what it might mean for conventional wells on their properties. A PA-DEP crew has been stationed at the site around the clock and will remain there until “we feel confident that the situation is under control,” Ms. Fraley said. 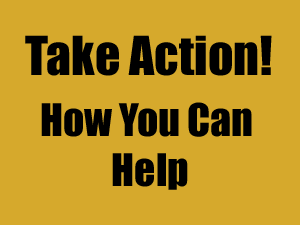 A special well control team had been summoned from out of state to “kill” the well, a procedure that involves pumping heavy mud into the wellbore to stop the flow and keep it down. That had not yet happened by Saturday evening. Ms. Fraley said at this point, the agency is not aware of any pollution or impacts to environmental resources as a result of the situation. A statement from the Municipal Authority of Westmoreland County, which operates the Beaver Run Reservoir and supplies water to more than 120,000 customers, assured that water quality has not been compromised. The path of the well travels under the reservoir but it isn’t clear how far along that path the well had been fracked when the problem occurred. Fracking involves pumping fluid and sand at high pressure into a well bore to create cracks in the shale where gas is trapped. According to the well records available in PA-DEP’s database, the Shaw 1G well plunged 13,740 feet below the surface, more than 2 miles deep, and extended some 8,000 feet horizontally. It is not yet known how the gas from it impacted the four conventional wells that are many thousands of feet shallower. Shaw 1G is on the same pad as three other shale wells and within a half mile radius of more than two dozen other oil and gas wells, including Marcellus Shale wells, operating conventional wells, plugged wells, and those considered inactive. Two of the impacted conventional wells are close to the Utica well pad, Ms. Fraley said, and the other two are “a few thousand feet” away. The conventional wells don’t belong to CNX. The DEP did not identify the owners of the impacted conventional wells. Paperwork that CNX submitted to the DEP when it was about to drill the Shaw 1G well shows there are at least four private water wells within 3,000 feet of the pad. One is on the property of Robert Schimizzi. Mr. Schimizzi said he returned from out of town on Friday to find hundreds of trucks bustling about the area, with dozers and tanks stationed at conventional wells that don’t typically get this kind of attention. He has one of those gas wells on his property that is operated by a firm other than CNX. It supplies gas to his home. When he was gone, his girlfriend said someone working in the area asked if it would be OK to shut off the gas well, but given the temperature she declined. His water well is fine and his gas remains on, although he did have to reignite pilot lights Saturday, Mr. Schimizzi said. Three other neighbors with water wells also reported no impacts to the Post-Gazette, but all were concerned that no company or regulatory officials have been in touch to check or inform them of the situation. “Hey guys, I live there. Am I in danger?,” Mr. Schimizzi said. “At least somebody tap on my door and tell me.” He said he planned to turn off his connection to the gas well before going to sleep on Saturday night. O. O. O. O. O. O. O. O. O. O. O. O.
CNX Resources contained a Utica shale gas well that experienced a significant drop in pressure last week, the company said Tuesday. Well “killing” operations on Shaw 1G well in Washington Township began at about 5 p.m. Monday and were completed by 11 p.m., said Lauren Fraley, spokeswoman for the state Department of Environmental Protection’s Southwest Regional Office. Killing involves pumping heavy mud and cement into the well, essentially sealing it off. “We are still evaluating next steps for the Shaw 1G well and the other three wells on that pad,” CNX spokesman Brian Aiello said, noting well drilling was completed Jan. 5 and fracking started the next day. The Canonsburg-based company experienced a significant loss of pressure with the new well during fracking operations Jan. 26, Fraley said. The pressure decrease was accompanied by “potential communication with other nearby conventional wells,” she said. CNX has since expanded flaring to nine conventional wells in the vicinity of the Shaw 1G well, she said. The DEP describes flaring as a combustion device used to control emissions by burning off flammable gas, often to reduce pressure. In the meantime, fracking operations on the four-well Shaw pad, on the northwestern side of Beaver Run Reservoir, have been suspended while CNX investigates the cause of the incident. “We believe it is isolated to this well,” the statement said. Fracking has been occurring near Beaver Run Reservoir, source of water to about 130,000 people in northern Westmoreland County, since 2011. The seven CNX well pads on property owned by the Municipal Authority of Westmoreland County currently have 45 Marcellus wells and seven Utica wells, the company said. 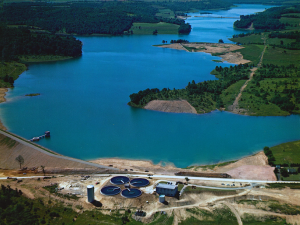 The municipal authority operates the George R. Sweeney Water Plant at Beaver Run Reservoir, which serves 23 communities in northern Westmoreland County and small portions of Armstrong and Indiana counties. Both CNX and the municipal authority have said there has been no impact to the reservoir and the situation is being closely monitored. The DEP has received no complaints or reports of issues with private water wells in the area, Fraley said. “DEP has no knowledge, reports or observation of a pollution event resulting from this incident. The department will continue to monitor the situation and investigate,” she said. Although southwestern Pennsylvania is known for Marcellus shale production, CNX has shown an increasing interest in the deeper Utica shale in Westmoreland County and elsewhere. CNX drilled four deep, dry Utica wells on the Shaw pad last year, including the one that experienced a pressure anomaly while pumping last week, Andrea Passman, vice president for exploration and development, said during a recent conference call with investors. Reservoir pressure of the Shaw well is consistent with other Utica wells in the area, including the Bell Point 6 well just north of Shaw, Passman said. CNX Resources Corp. said a problem with the casing in its compromised Utica Shale well in Westmoreland County was the likely root of high pressure gas that flooded nearby shallower wells two weeks ago. The Cecil-based company told investors that the problem at its Shaw 1G well in Westmoreland County occurred about a mile underground. At that depth, according to the well record filed with the state, there were two pipes in the ground, one a 9.6-inch diameter steel casing and inside of it a 5.5-inch diameter production casing. The narrower pipe, which is the conduit for the gas to travel up the wellbore, was cemented to the wider one at that depth. But the cement stopped a few hundred feet above that. Operators are not required to cement the production pipe all the way to the surface. When the gas escaped from the wellbore at that depth, it made its way to nine vertical wells, drilled to a depth between 3,700 feet and 3,900 feet, according to the PA-DEP. Those were the ones that the company was flaring to relieve the pressure as it worked to “kill” its problematic well. When that was accomplished late on Monday by pumping heavy mud into the wellbore below the 5,200 foot mark, the pressures at the impacted shallow wells began to drop. The company is also “actively testing private (water) wells” in the impacted area, he said. There are at least four such drinking water wells within 3,000 feet of the Shaw pad, according to the company’s permit documents. Casing failures — which could mean a breach in the pipe, the cement, or both — are not thought to be common in Appalachia, although their frequency isn’t a well-known metric. A number of academic studies from earlier in the decade used PA-DEP violation records to calculate the rate of shale gas wells with problems in their casing integrity. The estimates varied from less than 1 percent of wells to more than 6 percent. State regulators strengthened casing and cementing requirements in 2011 after poorly built barriers failed in several early Marcellus Shale wells and contaminated water supplies with natural gas. They also required operators to do quarterly well integrity checks and report that data to the state. It’s not clear what will happen to the Shaw 1G well — whether CNX will opt to remediate and refrack it or plug it permanently. The three other wells on the same pad remain suspended, Mr. Aiello said. One of those was being completed at the same time as the Shaw 1G, while the other two were drilled but not yet fracked. DEP spokeswoman Lauren Fraley said the PA-DEP has asked CNX for additional data on the wells and for the company’s plan going forward. The documents have been coming in regularly, she noted, with more expected over the weekend. As far as resuming activity on the pad, neither CNX nor the PA-DEP could provide a timeline. “I think we want to just see everything before we give our okay,” Ms. Fraley said. As state officials investigate a January pressure drop at a Washington Township deep gas well that affected other shallow wells near Beaver Run Reservoir, local environmental advocacy groups are calling for an end to all well drilling and fracking near the public water source in northern Westmoreland County. The groups — including the Westmoreland Marcellus Citizens Group and the Mountain Watershed Association, a Melcroft-based organization that advocates for tighter regulations on shale gas development — also are calling for increased testing at the reservoir for possible pollutants related to shale gas drilling and production. At an informational meeting the groups organized Thursday at the Delmont fire hall, they cited 13 incidents that released contaminants near the reservoir since July 2012. John Ashton, assistant manager for the Municipal Authority of Westmoreland County that supplies about 130,000 customers with water from the reservoir, said testing has shown no impact on water quality there since the pressure incident occurred in late January. When the authority learned of the incident, Ashton said, it ordered daily sampling at three sites on the reservoir that were below gradient from the affected well. He said the sampling schedule was reduced to three times a week after the operator, CNX Gas Co., reported the problem well had been shut down. The authority has said it received legal advice that it could not prevent shale well production near the reservoir because of existing mineral rights agreements. CNX has said it believes an isolated “casing integrity issue” about a mile underground was responsible for the significant drop in pressure during fracking Jan. 25-26 at its Shaw 1G deep well near the reservoir. While the state Department of Environmental Protection investigates what it has termed a “catastrophic loss of pressure” and a “well control emergency” at the Utica shale deep well, it has issued CNX a related notice of violation. It doesn’t constitute an enforcement action or the DEP’s final evaluation of the incident. The late January pressure drop was accompanied by pressure increases at several nearby shallow oil and gas wells not owned by CNX. Flaring — burning off of flammable gas — was required at the shallow wells through Feb. 12, to reduce the pressure. CNX successfully “killed” its problematic well by Feb. 4 by pumping heavy mud and cement into the well, essentially sealing it off. It has informed the DEP it intends to permanently plug the well. Spokesman Brian Aiello has said CNX officials “continue to believe that the casing breech is isolated to this well” and would provide the DEP with information it requested about the Shaw 1G well and the Canonsburg company’s other well sites. All hydraulic fracturing operations on the Shaw well pad remain suspended while CNX also investigates the incident. There are three Marcellus wells and four Utica wells on the pad, according to the DEP. 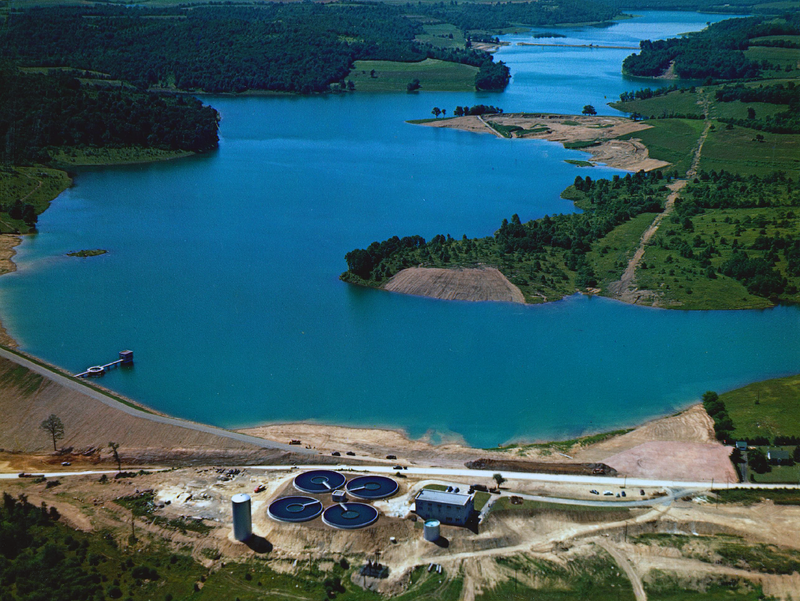 Fracking has been occurring near Beaver Run Reservoir since 2011. Seven CNX well pads on property owned by the municipal authority have 45 Marcellus wells and seven Utica wells, according to the company.